As soon as I stepped out of my car in the parking lot, I could hear it. It was a beautiful Saturday afternoon of travel soccer, but there it was. You know what I’m talking about: that sometimes beautiful, often times excruciating cacophony of sounds that we have come to know as “cheering for our kids” during a typical youth sporting event. The scene plays out week after week, in gyms and soccer fields, on pool decks and ice rinks. 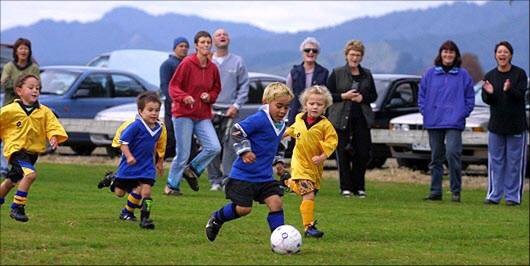 Young children gear up and try their best to play difficult sports that take years to learn. Well-intentioned fans get ready to enthusiastically support these young athletes. Everyone smiles, exchanges pleasantries, and settles in for an idyllic afternoon. Then, when the whistle blows and the game starts, millions of well-intentioned, loving fans are transformed into something entirely different. There is some kind of invisible force that turns rational, logical people into raving, yelling fanatics totally consumed by every call, and every play. What do they get? Sportsanity is the temporary insanity brought on by attending youth sports events. 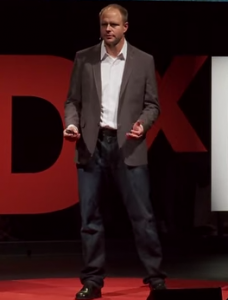 It causes normal human beings to yell, coach, insult, and sometimes even fight other adults, all with the best of intentions and in the name of “supporting our kids.” While the exact cause is unknown, possible causes include Fear of Missing Out, Lack of Patience, and the Adultification of Youth Sports. Of course I am joking. There is no AMA approved illness known as “sportsanity.” We have actually written an article before on what causes it (click here to read it). And of course even our imaginary illness only affects a portion of parents, most of whom are great people and are truly there for the right reasons. Yet at every game, especially involving schools, clubs and youth sports leagues that fail to hold parents and coaches accountable for appropriate sideline behavior, “Sportsanity” rears its ugly head. “The Official’s Worst Nightmare” – We all know that parent who questions every call, no matter how far away he or she is. The official can do no right in the eyes of this parent. Even the most mundane of calls is questioned openly and loudly. This parent will scream at the official the entire game as if he or she knows the rules better. You rarely win the argument. It’s a waste of breath, but it definitely has the ability to turn an official against you and your child’s team in a heartbeat. “I love it when my dad yells at the ref” said no kid EVER! I have sat on the bench countless times listening to kids moan because their dad is screaming at the official again. There is nothing more embarrassing. Even if you do reverse a call, to what end? 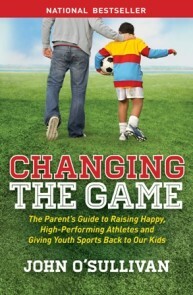 Are we not using sports to teach life skills and important values? What life skill is learned from arguing with authority figures and what value is taught berating another human being? Teach them values by accepting the bad call as part of life and getting beyond the call. Finally, and most importantly, most officials at younger players games are children themselves, just learning how to officiate. Screaming at the ref is akin to screaming at the kids. It’s just a game. If you know the rules better, grab a whistle and an official’s uniform and join the ranks. Many youth sports organizations lose over 50% of their new officials in the first year because the environment is awful. Parents tell us they miss many of their kids sporting matches, but never miss a match they officiate, as they fear for their child’s safety! The “UnOfficial” Head Coach – This parent grudgingly pays the person on the player side a nice chunk of change to work with their children, but as soon as the whistle blows, the gloves come off. They are coaching now. Sure, the coach played college and a little pro, and she has an education degree, multiple licenses, and 15 years of experience coaching the sport at this level, but does she really know as much as the “UnOfficial Coach”? These parents have been watching the game for years!. They question every call the coach makes, scoff at every substitution, and hate it when the “weaker kids” get to play. The team would never lose if it was done their way. It confuses kids, especially if they have a coach who is constantly yelling instructions too. Who are they expected to listen to now? Parents say “listen to your coach”, but now parents are yelling the opposite instructions. The kids stand on the field swiveling from one sideline to the other as if they are watching a tennis match. It undermines the pedagogical process. Children need to learn from people other than their parents, and from the game. When we continually question the coach, we undermine a child’s ability to trust and learn from others. At some point in time, our children will need the wisdom of “the village” to grow up. We steal our child’s independence. We tell them to be independent and think for themselves, but we yell all the answers from the sideline. How are they supposed to become problem-solvers if we won’t let them attempt to solve any problems. We make it about us. It’s their game. It’s their chance to risk, to fall, to get up, and to celebrate when they finally succeed. If we coach from our sideline, we make it about us. Put down the joystick and let them have the game. I have to repeat myself here. If you think you know better than the coach, or simply cannot control your urge to joystick coach, please feel free to volunteer at your club or take a licensing course and get involved. Once you have the full responsibility of everyone’s child, you tend to better understand the fine balance a coach endures to get it right for every kid on the team. Sounds harmless, right? Imagine being that 10 year old who has just slipped in front of goal and only has the keeper to beat. Her heart is pounding out of her chest, her mind is racing, and she is trying to remember everything she’s been taught. She’s on the big stage, all eyes on her, and this is the moment of truth – score and be the hero or miss with all eyes on you. Now imagine “The Sniper” screaming “Shoot!” in this moment of high stress. Inevitably she will panic, shoot too early, startle, or simply freeze. The moment has passed before she had a chance to do what SHE wanted to do. Let the kids make their own decisions. Sometimes they’ll be right, sometimes they’ll be wrong, but at least they are learning, growing, and deciding on their own without sniper shots from the sidelines. “The Super Cheerleader” – These parents love watching their kids play. They love it so much they can’t help but express their joy. They run up and down the sideline screaming for their children the entire game. Everything they say is positive – like “Go, Go, Go” and “That’s my girl”. So why are they listed here? 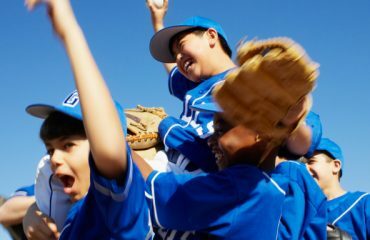 Overzealous cheering can easily lead to coaching, and it certainly can distract kids on the field. Sometimes the Super Cheerleader may get a bit too involved with outcomes. When this happens the children may think the only way they will get the cheering is if they score or win. They think their worth is tied to the outcomes that get the loudest cheers. They don’t need you there, in spite of what you think. They know you love them. They work hard at practice. They play at recess, and you are not there. Let the game belong to them too. When your team has a big lead and parents are still Super Cheerleaders it can be a tough pill to swallow for the opposing team. Just remember to put yourself in the shoes of the others and temper your joy just a tad for the sake of the competition. You can get so caught up in the Super Cheerleader role that you don’t realize there is an injury until all eyes are on you. Be your child’s biggest fan. But remember, our kids need fans, but not super fans. 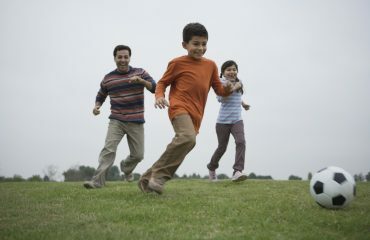 “The Balanced Parent”– This group is a bit of an anomaly because they seem immune to sportsanity. They are relaxed. They are quiet observers of the game, there to watch their child have fun and learn without any desire to interfere in the process. They rarely yell, they barely seem emotional at all, and they supportively cheer their child’s effort. They are supportive, but not over the top pushy. They are present. They realize it is a game, not an emergency! In my years of coaching, I have found that the parents who have played a sport at the highest level are usually the ones who are most relaxed at their kids game. The more they have accomplished, the less they live vicariously through their kids (see LaVar Ball for a prime example of what not to do). The kids have a healthy, balanced perspective of sports. It’s not the most important thing in their lives, it is another activity that shapes them, creates memories, and draws their family closer. It’s just a game, after all. The atmosphere reflects true competition. Competition means to “strive together”. When the parent sideline is emotionally balanced, the competition on the field is as well, and the players realized they are striving together to get better. Even the opponent is an ally in this development. The coach’s job is easier! If I didn’t have to “address my parents for yelling” or worry about them contradicting what I had been teaching for the last 8 weeks, my life was great. We could focus on playing, learning, letting the kids own the game, and enjoying the experience.”Relaxed parents” allow coaches and players to focus on the experience itself. These sideline characters are fluid and can change easily. Almost all of us have been a few of these parents at some point during our lives or even during a single season. Embrace the fact you really care about your kid’s sport experience. This is why you are so vocal and I applaud you. But if you can’t channel the “Balanced Parent” at every game, there are ways to help you create a better experience for your child and everyone else. Wear headphones – I coached a player whose dad always wore headphones. He said he was a once high level athlete and a former coach, so the urge to intervene was off the charts. He wore headphones to keep from “sideline coaching”. They also served a second purpose, he said, “I don’t have to listen to all the other parents”. Be the team photographer/videographer – You’ll be too busy finding the perfect shot of everyone’s kid to be yelling. You may even gain an appreciation for all the players on the team. If you film a game and hear your screams on the playback, you will probably never yell again. Carry lollipops – Sounds funny, but effective. If you feel the urge to speak your mind, fill that gaping void with something to keep words from coming out of it. I’ve heard of sports teams assigning ‘lollipop parents’ whose jobs are to hand out lollipops to those who yell. Sit in the corner – literally. The same dad who listened to music would also sit away from everyone in the corner of the field. He could watch the game but not get caught up by the emotions on the field and the even more intense emotions on the sidelines. I am convinced there is a direct correlation between how close you sit to the action and how much you need to intervene during games. Have a yell jar – Pass a jar at games. When you yell, you pay. Use the money to buy all the kids ice cream. You could alter the amounts based on the infraction: yelling instructions is a buck, yelling at the coach is two bucks, berating the ref is a 5 spot, screaming at the kids is a sawbuck. Offer to be the “keeper of the culture”. My wife played this role very well. She once dealt with a pair of new parents to our club. They were Sniper Parents yelling shoot at every touch of the ball and when the child would mess up, they would bellow “What were you thinking”. She finally marched up to them and asked them if they liked having people yell at them. She said “we don’t yell at 11 year-olds at our club. This is not our culture”. That became a theme for us- keep the culture. We actually had players come to tryouts to join the club that policed its sidelines. If you have strong club values – offer to guard them. Ask your kids what they want you to do, and really listen to what they say. Most kids, when we ask them what they want their parents to say at their games answer reflexively, and loudly: NOTHING! Nobody’s perfect. We have all yelled. This isn’t about pointing fingers and embarrassing parents. This is more about making all of us realize that the people who suffer the most from our screaming are not just referees, coaches and opponents. They are our own kids! Do your kids a favor and try one of the above suggestions to “bench” the yelling and put an end to sportsanity once and for all. So, what do you think? Please share your thoughts below.